An ode to a relish for life, jewellery and watchmakers, Maison Chopard, welcome their latest fragrance collection, Happy Chopard Eau de Parfum. Now with a commitment to more responsible perfumery with their Journey to Sustainable Luxury, the collection is made of the most treasured, natural ingredients. 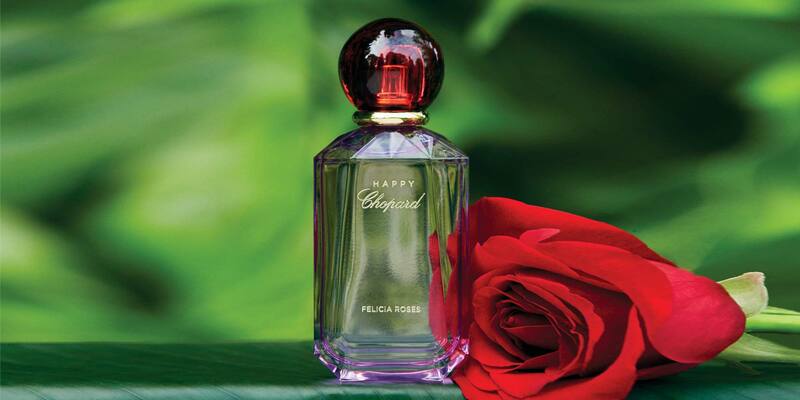 From the collection comes Felicia Roses, with notes of red and purple berries, with pink grapefruit and spices on a bed of blackcurrant buds and roses. Tying the scent together is geranium and ylang-ylang with tonka-bean, making this fragrance buoyant and carefree.